Originally posted on September 9, 2015. In all of the letters that I have from Adella to her daughter, Adella always talks about how Lucy doesn’t write. Even Lucy mentions it in her letter to Adella. Maybe Lucy didn’t like to write letters, or perhaps she was to busy to write, as she explains in her letter. 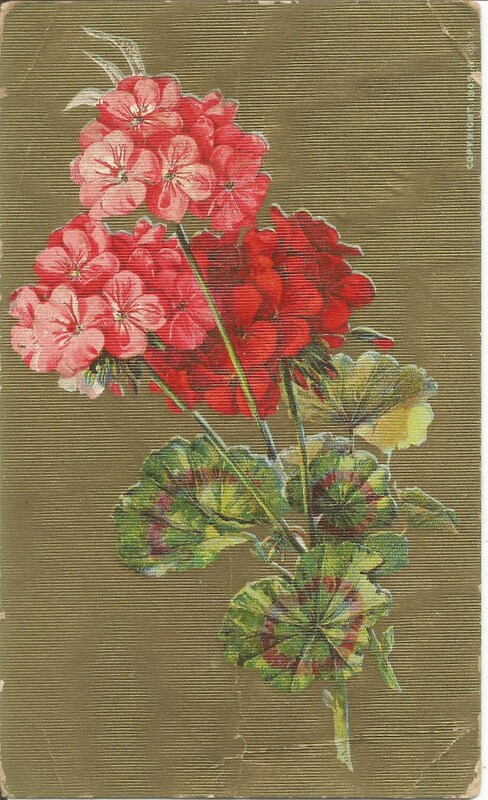 When Adella wrote this postcard, Lucy was 23 years-old with one child and another on the way. 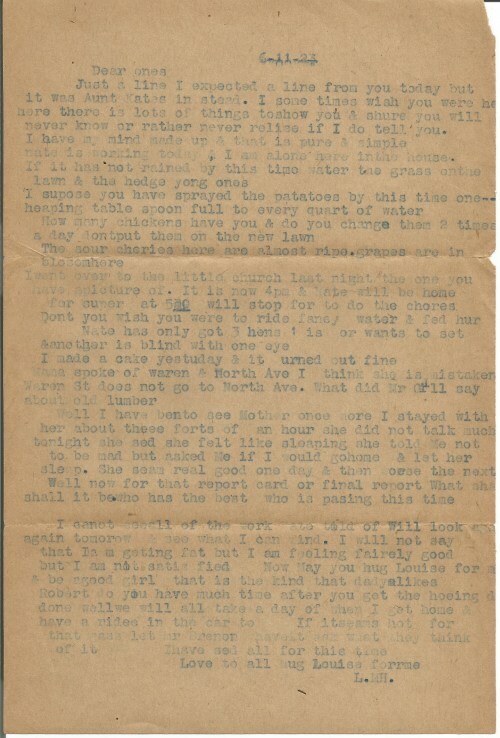 The Roy in the letter is most likely Leroy W. Lamb. 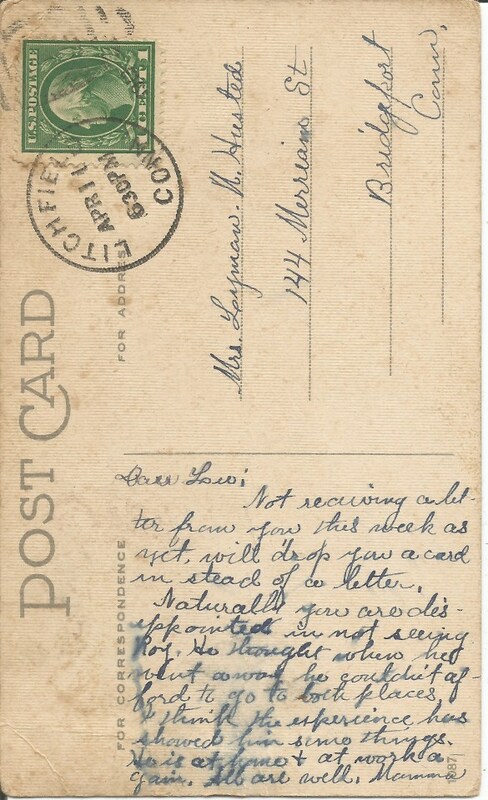 He was born in 1894 so at the time of this post card, he was around 19 years-old. In a 1917 military census Leroy was still living at home and worked as a farm hand. He lists that he has a serious disability, “Breack”. I have no idea what that means. I don’t know why Roy was traveling or where he went instead of visiting his sister, maybe other correspondence will shine the light on Roy’s travels. First published on October 30, 2015. First published on October 29, 2015.